Sharjah International Airport is the busiest airport in UAE. The passenger traffic in the airport has been growing day by day. The advanced infrastructure of the air terminals meets the demands of frequent travelers. The passenger terminals are equipped with the parking area, public transport stations and taxi lines. At SIA we believe that our staff is the most important asset. We aim to provide our people with challenging, meaningful and long term careers where we want each person to believe they can make a difference, no matter how small or large it is. 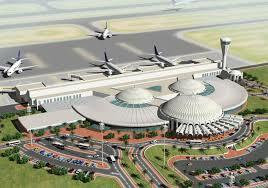 The Sharjah International Airport aim to meets all the requirements of the up-to-date life. Our operative variety of over 40 nationalities is our asset as an organization. Aptitude and talent recognition is not nationality exclusive. Our employee diversity also complements Sharjah’s diverse population and its drive to all access to this business as a rewarding and meaningful career. A variety of airport job openings are available at Sharjah International Airport. The Airport authority makes it easy to apply for a job. We recruit the well qualified people, encouraging the value of diversity in the workplace. A career with SIA is a satisfying experience, offering great career assortment and progression. We offers employees unique chances to identify and pursue their strengths.